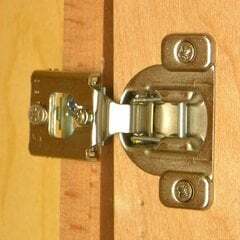 These are good hinges. 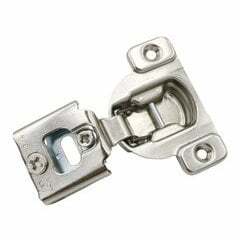 I installed them in our kitchen cabinets that had old exposed face of cabinet hinges, that slammed the doors shut.The only problem with these hinges is that they came with no screws to attach the to the door or to the face frame. Should be all in one, everything needed to install in 1 package. 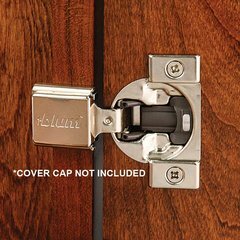 I needed to know exactly which soft close hinges to buy to replace my existing ones. Your support gentleman on the phone was speedy and helpful and also reminded me to use the coupon code when I placed my order on line. 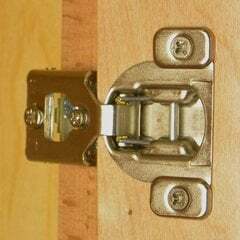 He also gave me some tips on how to adjust the soft close feature on the hinge if it wasn't working to my liking. Top notch help! Quick shipping too! Thanks for everything. I usually have a touch of buyers remorse after an online purchase but not this time. The hinges arrived quickly and well packaged. They appear to be of high quality and were easy to install. I believe they will last for many years. 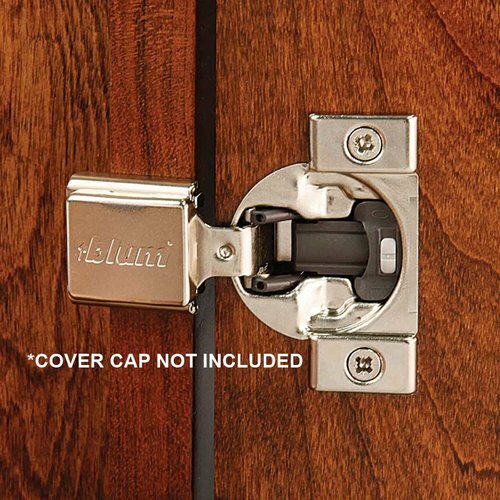 I like the on/off button on the hinge which when off allows small doors to close easier. Overall very satisfied and would buy from Cabinetparts.com again. We upgraded our 22 year old compact 33's to the 38s. 38s provide a nice soft close and fit perfectly into the existing door holes. 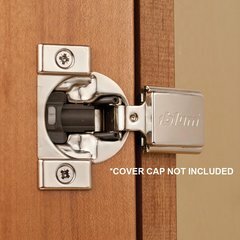 For DIY'ers, be prepared that the 38 door frame mount is different from the compact 33. You will need to remove the existing doorframe mount, redrill and then attach the new hinge direcly to the door frame. This is fairly easy but I did not expect this based upon my chat with the Cabinet Parts agent. 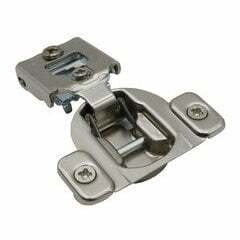 Also, be clear on whether you need to order screws for hinge mount. You will not be able to reuse exsiting compact 33 door frame screws. Overall, REALLY happy with the new hinges. No more banging, nice soft close. Fast shipping. 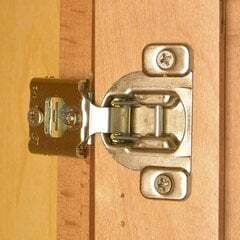 When we decided to replace the hinges on our kitchen cupbords, we discovered that buying the new hinges one by one at a big box store would be very costly. I was able to save by buying them in bulk and received them in a few days. The only negative is that I didn't realize that the screws didn't come with the hinges and I had to buy them locally.